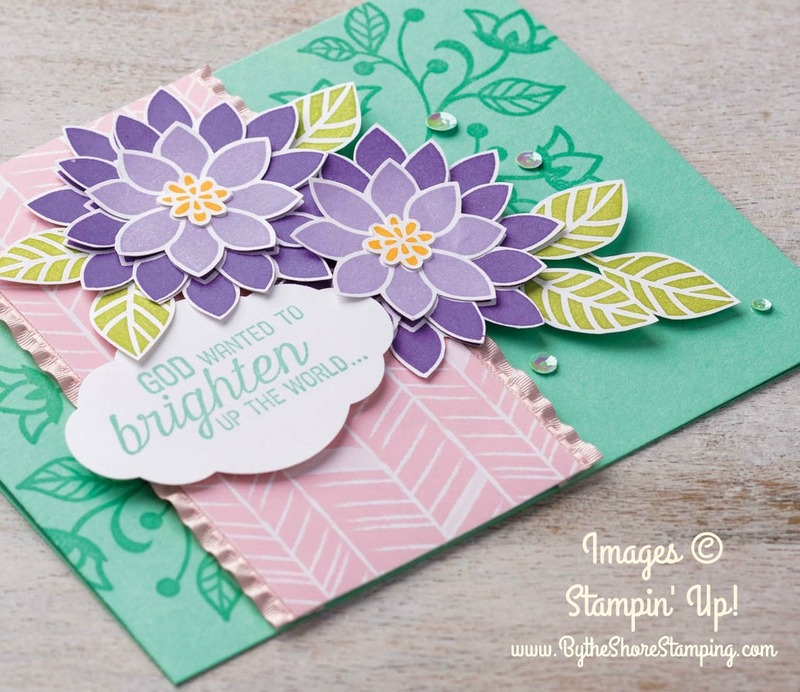 By The Shore Stamping with Jen Pitta: New Color Week: Day 8! Do you ever struggle with where to begin when you sit down to craft? 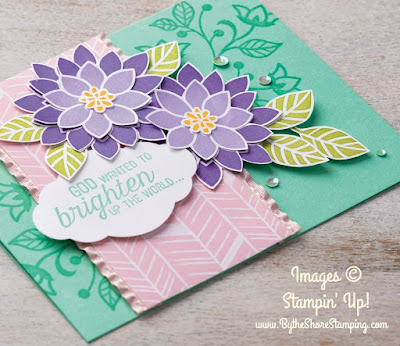 Staring at an empty craft table or even a blank piece of Crumb Cake cardstock can be overwhelming when you are surrounded by supplies. 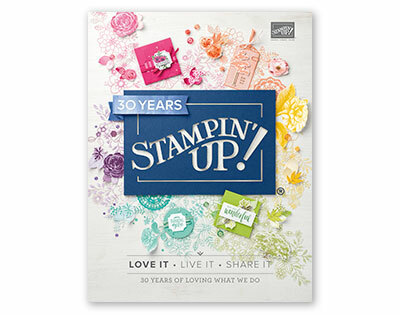 The Stampin' Up Idea Book & Catalog is a great resource not just for the best crafting supplies on the planet (in my opinion! ), but it can also be a great tool for idea generation. 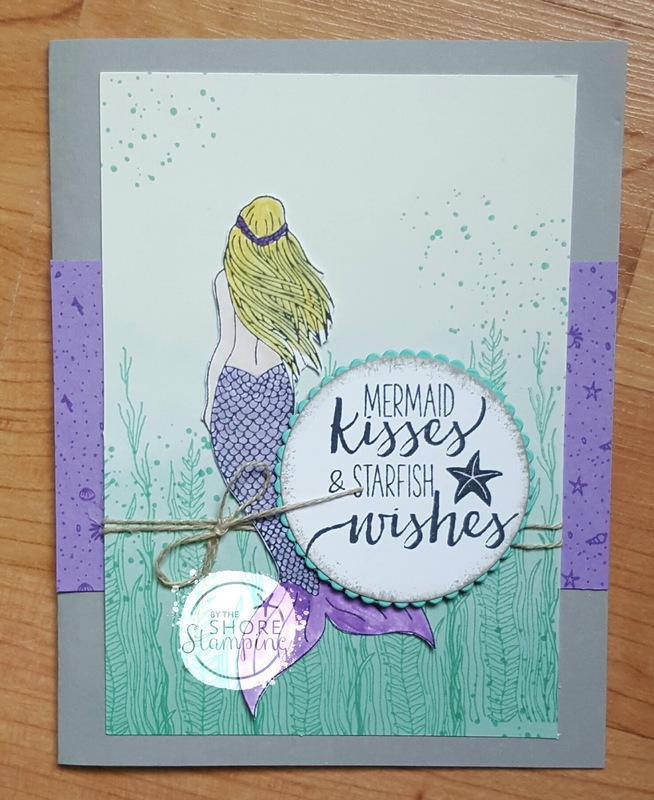 Today's featured project was inspired by a project on page 18 of the brand new 2018-2019 Idea Book and catalog. Sometimes all we need is a little starting point to get our creativity flowing. I must say that I think this was my favorite project during New Color Week. How about you? Which project was your favorite? I'd love to know! Comment below! The color combo for today's card was Gray Granite, Coastal Cabana, Highland Heather and Gorgeous Grape. Don't forget today is the last day to join Color Club and get yourself these fun color family swatch tags for free with your first month of club! 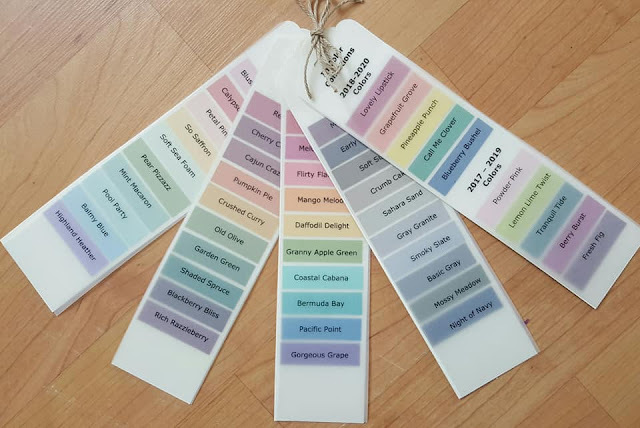 These Color Swatch Tags are going to be such a great tool for crafting -- they will help you come up with great new color combos of your own, plus you can use it to compare to patterned paper or cardstock you already own to see which Stampin' Up color would be the best match! Ready to join? 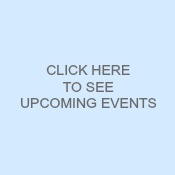 Email me at jenpitta@comcast.net to get started! New Color Week: Day 7! New Color Week: Day 6! New Color Week: Day 5! New Color Week: Day 4! New Color Week: Day 3! New Color Week... Day 1!